Disclaimer: This is a sponsored post in collaboration with Dove Dry Spray Antiperspirant. All opinions are my own. It’s never easy for me to pick up and leave my family to travel across the country. But the #WeAllGrow Summit was so worth it. It was an opportunity of love, laughter, inspiration and growth. 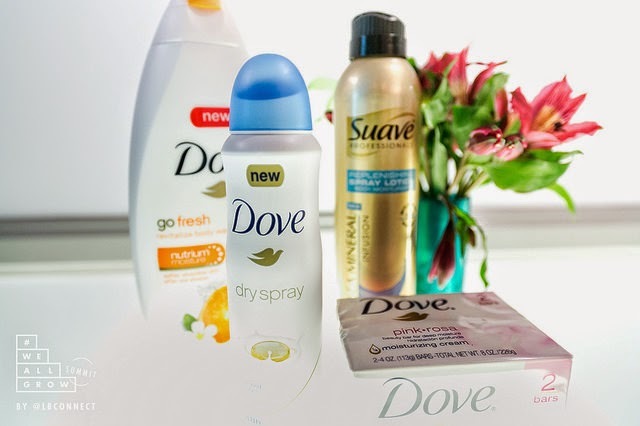 And I’m grateful to my Storyteller bestie, Claudya, and Dove Dry Spray Antiperspirant for the chance to take part in the inaugural blog conference. Aside from being excited about the warm weather, I loved every learning opportunity the conference provided. We had the chance to tour the LA Google office – yes, I totally had office envy – and we learned tips and tricks about creating YouTube videos. I am eager to apply what I learned as I want to do more with video. While at the #WeAllGrow Summit, I attended sessions on SEO and photography. I met connected with new bloggers and publishers. I left inspired to vlog more, write more and do more. But I think my most valuable lessons came from the storytellers – especially the stories told by Jeannette Kaplun and Claudya Martinez. Jeannette and Claudya are both women I admire. And hearing their stories only inspired me more. During the first few hours of the conference, I couldn’t help but feel insecure. I was surrounded by so many successful women, it made all of my accomplishments seem small. I have been feeling like that more and more as my 40th birthday approaches. And then I heard Jeannette’s story. I was reminded that success doesn’t happen overnight. That it takes years of hard work and belief in yourself. She stressed the importance of believing in yourself even if no one else does. 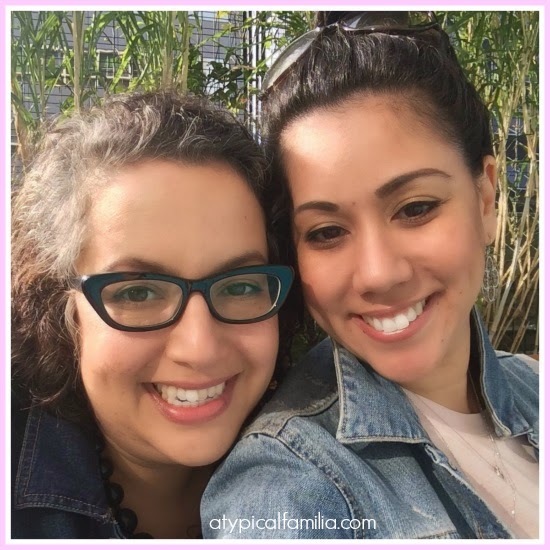 My blogger bestie, Claudya told her story last. She had practiced a little of it in the room for me, so I knew what to expect. But I was still just as moved hearing it the second time around. Claudya talked about her fear and how she learned to embrace it. 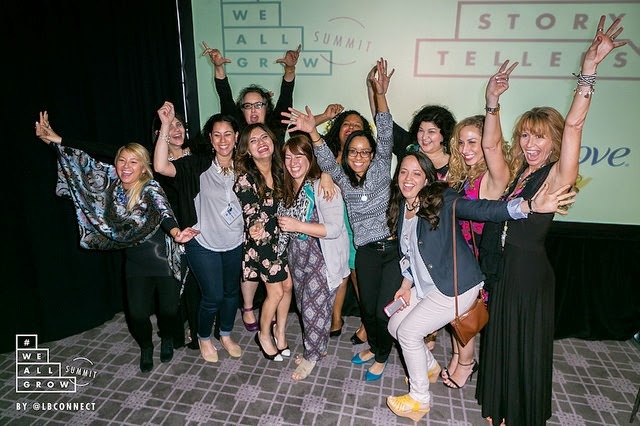 I was apprehensive in going to #WeAllGrow. I was nervous about traveling and leaving my family behind. Fear is often the thing that holds me back. While Claudya has learned to embrace her fear and listen to it, she also knows when she needs to put her fear aside in order to grow. Very, very early Sunday morning (2:30 am to be exact) I woke up, showered and applied my new Dove Dry Spray Antiperspirant, inhaling its floral fragrance. It went on instantly dry left my underarms soft and smooth. And since Dove Dry Spray isn’t like sticks or gels, I immediately pulled on my shirt without having to worry about any goopy residue. By 6:30 am, I boarded the plane ready to fly from LA to NYC. And hours later, I arrived at JFK airport. It was snowing and it took more than an hour to drive home. And by the time I got home – nearly 6pm – I felt just as fresh and dry as I had earlier that morning. I may have had my apprehensions prior to going to #WeAllGrow but I returned more confident in my work, determined to keep telling my story and ready to embrace my fear and let it go. Thank you for sharing your experience at the #WeAllGrow summit. I watched all 7 videos of the different storytellers. I laughed, I cried and I was inspired. My only hope is that one day I could attend the summit. I'm so glad that we got to share this experience together. You are AWESOME!!! Know it.